NOVAkILL became an actuality in 1996 when BONES and SiK, who had been running a club night together and performing separately, decided to pool their resources. Before their first album NOVAkILL contributed songs to two local and one German compilation. They also wrote some music for a short film. The first album, HARD TECH for a HARD WORLD, took about 3 years to finish as NOVAkILL took some time off to replace all their instruments with software. The first album, HARD TECH for a HARD WORLD, took about 3 years to finish as NOVAkILL took some time off to replace all their instruments with software. You only need to compare the version of SHOkNOVA on the Maschinenwelt III compilation to that on the album to see that it was well worth the effort to make the switch. 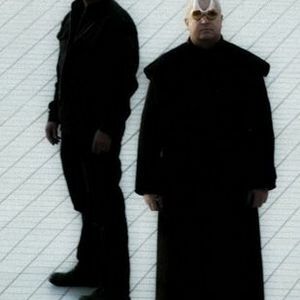 During HARD TECH's long gestation period NOVAkILL continued to write new material and had half an album's worth of songs almost ready when HARD TECH was finally released in 2003. With the first album out the door they started work on the follow-up, finishing off new songs and whipping a few old ideas into shape. The result is KILLeveryone which was released in Germany and the USA in May 2005. To promote the new album, NOVAkILL performed at Wave Gothik Treffen in Leipzig in 2005, stopping off for a show at London's Slimelight along the way. Since then, NOVAkILL has supported Nitzer Ebb, VNV Nation and Combichrist in various Australian cities. In 2009 they released "I HATE GOD" on Repo Records, displaying an improved sound and matured songwriting.